Quick Tip: During a busy work day you may find your computer desktop cluttered with many open browser tabs and applications. Need to quickly get to your uncluttered desktop? 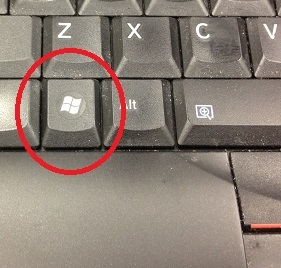 Remember the Windows shortcut: Windows Key + D. Hit the Windows Key and then the "D" key and your desktop will appear. If only this would magically work for the rest of a cluttered office! Keep in mind that if your computer starts running slow, you probably need to actually close out the things you aren't actively using, but the shortcut is great for seeing the desktop fast.